Dear Readers, you are due an apology for my prolonged absence and lack of posts this winter. I had a lot of excuses that I told myself. Everything’s dead. Nothing has leaves. Everything looks like crap. But that is not the total truth. Something is always going on in the worm bin and there are other things to talk about in the winter like pouring over catalogs and buying for next year. The truth is I was most busy with my new venture obsession making quilts. Below is my second quilt, a sampler, which I made for my MIL and her husband. I started with traditionals, making more and more complicated ones like this geometric Escher-esque pattern made from half hexagons. As you can see, I quickly got bored with that stuff and ended up with something like this. In January I started my Etsy shop. Since then I have added a lot of items, mostly wall hangings and art quilts, to my Etsy shop and my QuiltFinger blog. I also have them for sale on eBay. Sales have been far from predictable, or substantial, but I make quilts because I enjoy it. I hope you can tell how much fun I had making them. I didn’t forget about you all during my long break and I am very grateful to everyone who continues to subscribe and visit my blog since my long dip off the radar. I’m am going to try harder this time, I promise! Ah, so that’s where you were all winter. 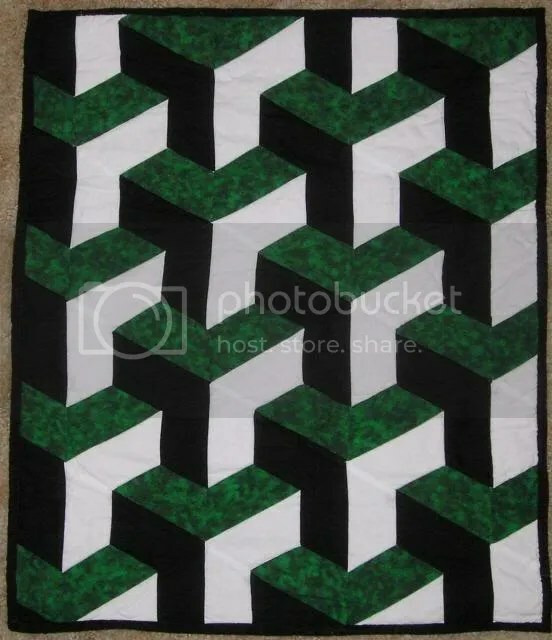 I’ll have to go check out the quilt blog and shop! These are just beautiful!!! And so different -looks like you can move from style to style wiith no problem whatsover! I saved some of my kids’ clothes from when they were babies, thinking I’d make them into a quilt someday. Might have to wait for retirement, the way things are going. Thank you, Jen. Yes., I was in my studio almost the whole winter. Sorry. I did feel bad for neglecting the blog. As you saw, I’m having a little trouble finding a style. Just trying out different techniques. It’s hard to find time to quilt, usually it means neglecting other things like cleaning, or blogging. WOW!!! That guitar/travel quilt is just awesome!!!! 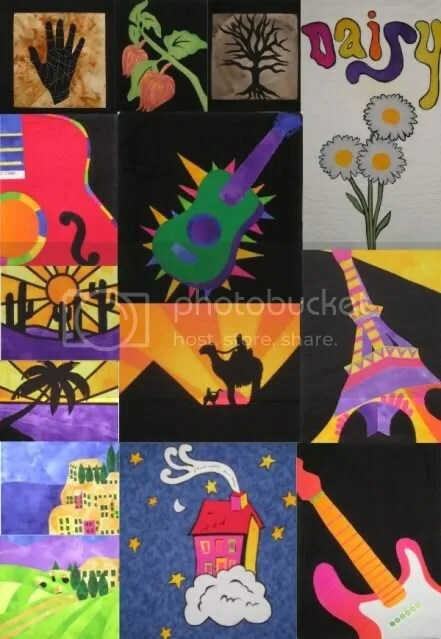 Thank you, OFB, I had a lot of fun making the guitar quilts under the influence of rock and roll music. Wow! This is a NEW obsession? Amazing work. I have a couple of friends who are into quilting and I so admire what they do. I was at an art show, supporting a young college friend of ours with his graphic art display, and the girl next door was doing hers of texticles….. a quilt display. Every single one of her quilts was depicting some form of giant squid……. 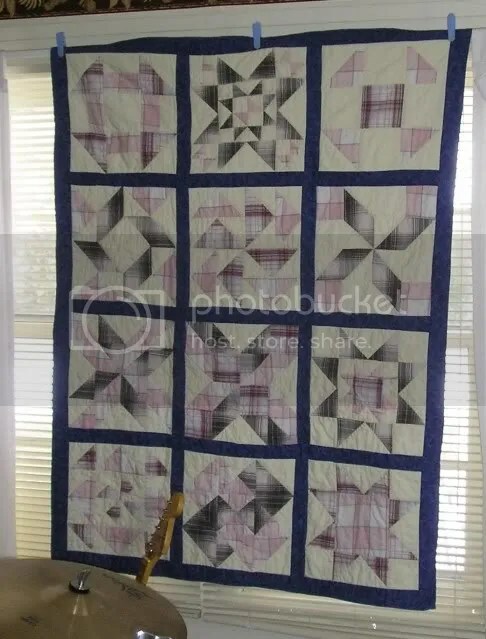 Wow, your quilts are stunning…and your persistence and patience doing them, amazing. Thank you, Brigit. It is a real passion, it hardy seems like work. Feel free to enter my giveaway if you’re interested. Thanks for stopping by.